Vector Health (The Woodlands) - Book Appointment Online! 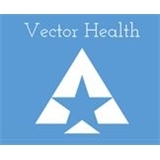 Vector Health is a new kind of medical practice. Located in The Woodlands, Texas, we combine state-of-the-art medical care with exceptional customer service. We focus on evidence-based medicine to avoid unnecessary procedures and tests, while maintaining 24/7 physician access. Our goal is to give you "All you Need. Nothing more." It was an outstanding experience and will be going back. Both Dr. Perkinson and his staff made me feel very comfortable and took more than enough time with me to discuss any concerns or questions I had. I have already referred other people to him.